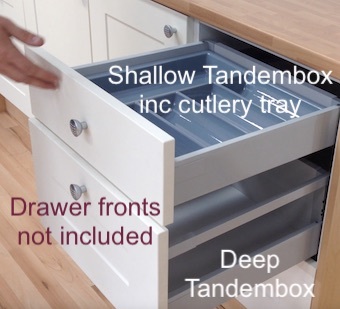 Follow this link to see a quick video showing each drawer type in action. 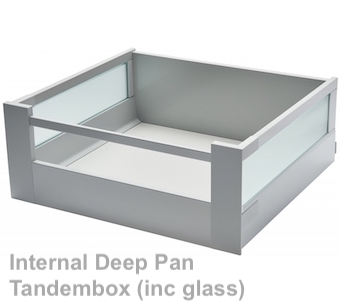 Just slide into the space under your units, Metabox, Tandembox, or Handle-less push to open. Exclusive to this website! 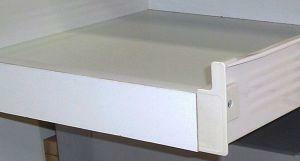 We specialise exclusively in the production and supply of kitchen drawers. 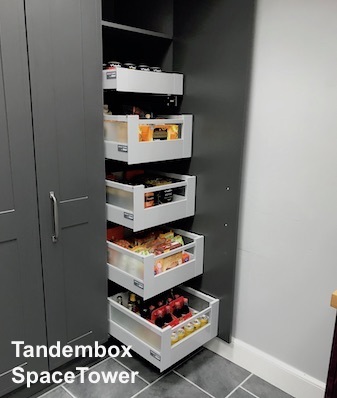 Blum Metabox and Blum Tandembox Antaro (soft close) are available in standard sizes or made to measure. Both ranges are available as replacement drawers or internal kitchen drawers, and can be installed in any kitchen or bedroom cabinet. 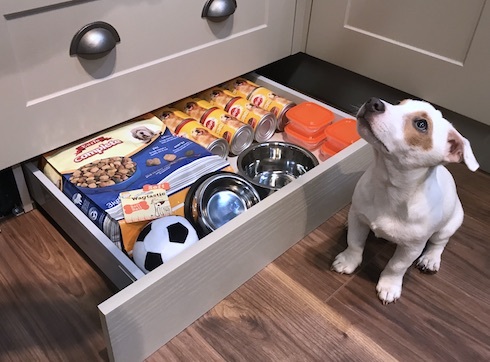 Our complete drawer box kits come with drawer sides, drawer runners, base panel, back panel, all screws or hardware, and the Blum Lifetime Warranty certificate. 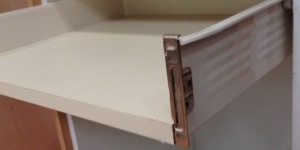 Our internal drawer kits and Space Tower Kits all have the option of a packing strip for the hinge side runners meaning you can keepyour existing door and hinges with no alterations required. Easy to follow video instructions take you through the whole installation process from start to finish. 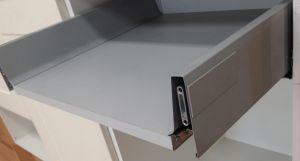 All our drawers sides and runners are manufactured by Blum, the market leader in quality kitchen components. 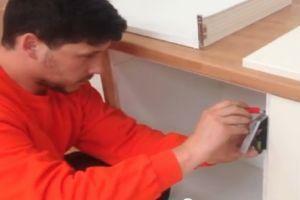 Every Blum drawer box comes with a lifetime warranty. 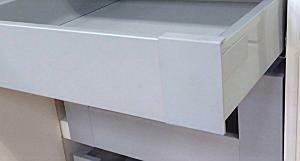 You require your own drawer front when you purchase any replacement drawer. 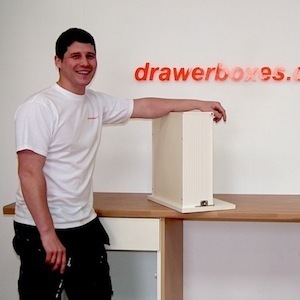 Internal Drawers include the drawer front in the kit. 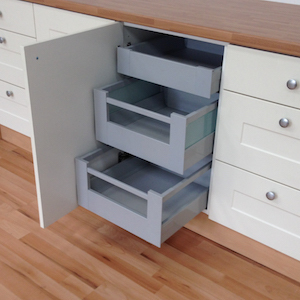 These drawers go inside your cabinet behind the existing door with no alterations normally required. For every step in the process including assembly, installation and final adjustments. Buy with complete confidence. 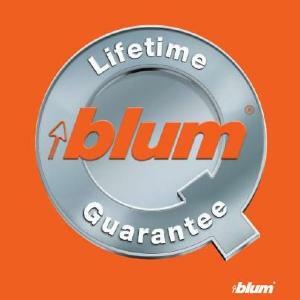 Blum components are guaranteed for the lifetime of the furniture. 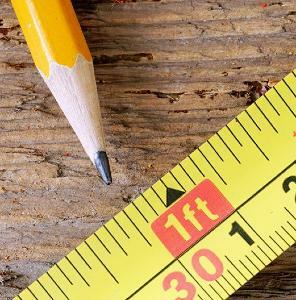 If you do not see the size you require, call or email, there is no extra charge for non standard items. Many items available next day.